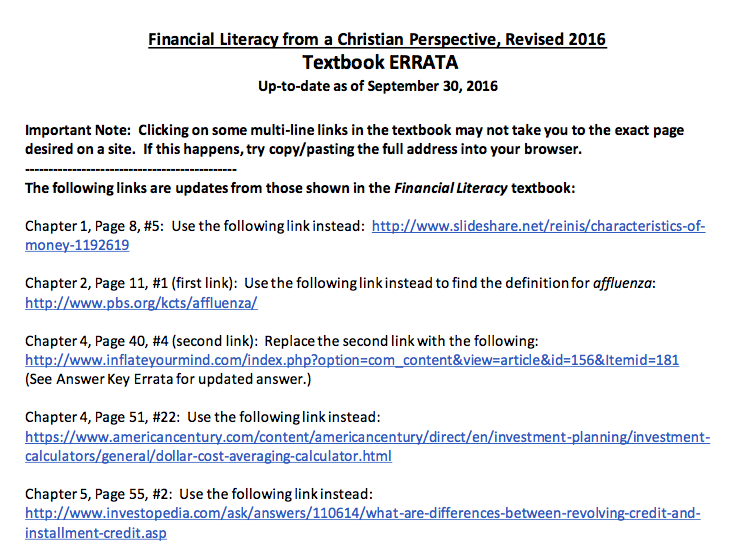 Financial Literacy from a Christian Perspective is an interactive etext and therefore the URLs for websites sometimes change and must be updated. This FREE download contains the Financial Literacy from a Christian Perspective 2018 Edition Errata to update your etext and is correct as of August 27, 2018. If you have any difficulty with your download, please email info@7sistershomeschool.com for assistance.